Our journey began with a passion for healthy eating instilled by our Eastern Mediterranean heritage. Home cooking revolved around grilling and roasting ingredients and produce that are full of goodness, seasoned with the fragrant herbs & spices of our childhood. The mum and family chef, Limor, regularly used turkey meat for its amazing nutritional properties. 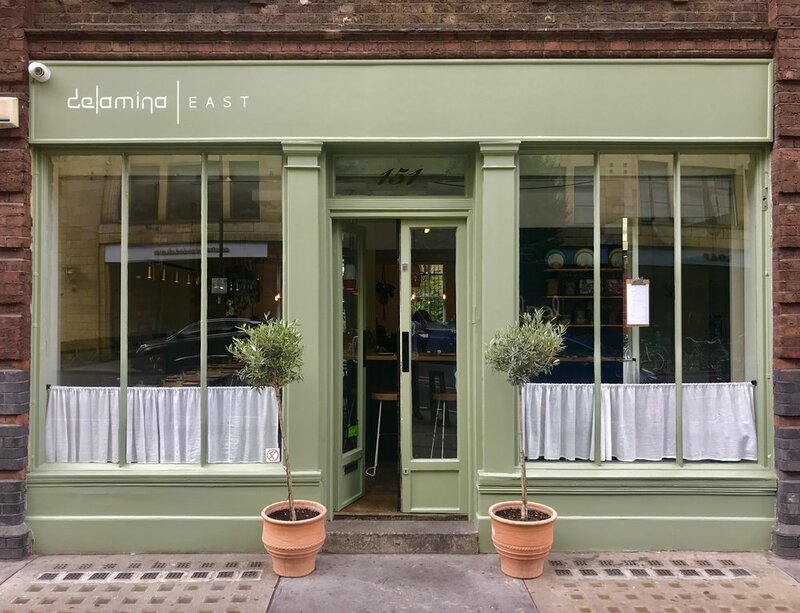 Thus Delamina EAST was born, initially as a pop-up at Shoreditch House called Strut & Cluck, showcasing her turkey and vegetarian recipes with an eastern Mediterranean twist. Our restaurant in Shoreditch soon followed, where we serve dishes inspired by our home cooking using seasonal local ingredients and ethically raised & sourced produce from land and sea. © Democratic Holdings Ltd. All Rights Reserved.